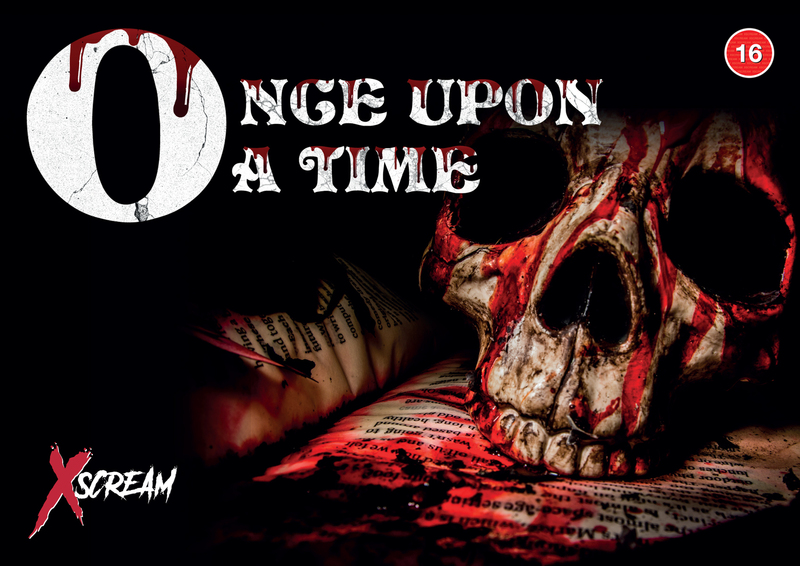 If you’re itching to celebrate Halloween before the 31st or to spook it up outside of the traditional trick-or-treaters and themed club nights, X-Scream’s twisted fairy tale Halloween extravaganza ‘Once Upon a Time’ might be the thing for you. Sweeping through the outhouses and grounds of Rhondda Heritage Park and into the old coalmines themselves, X-Scream have set up a rat-run of textured mazes, smoke machines, strobe lights, and ancient elevators furnished with characters from your favourite childhood tales, Disney films, and horror flicks; running through this wonderland of icons and jump scares is like visiting the Disneyland of the underworld. And it’s fantastic. This whole experience is calculated to perfection; the production value is visible in the high quality of the costumes and stage makeup that transform this talented array of actors into everything from Chitty Chitty Bang Bang’s child-catcher to Alice in Wonderland’s Mad Hatter. With Halloween trailing a reputation for being a tacky celebration of all things plastic and corn syrup, it is refreshing to witness an event that brings the creatures of our collective imagination to life through velvet cloaks and sophisticated full-head masks. Moreover, the actors are relentless in their performance, not breaking character through run after run of this course, an impressive feat with several groups travelling through the maze at once. Carefully treading the line between fear and fun, these characters are just terrifying enough to be effective without pervading any genuine threat – it is easy to trust these actors as they guide you through, even if you do so with a touch of nervous laughter. The pace with which they steer (or chase) you through this maze means that you don’t linger for too long on anything horrific, and interactions with the actors never last long enough to spoil their façade – as the entire run takes a quick 40 minutes, you get the adrenaline rush of the jump scares without being deeply horrified. It is clear that the ‘Once Upon a Time’ designers have orchestrating screams and laughter down to a fine art. There could not be a better setting than Rhondda Heritage Park for this maze; the disused tunnels of the coalmines and the shadowy woodlands of the grounds are ideal backdrops to stage most people’s worst nightmares. But the humour that groups of locals bring to this experience also makes this experience more enjoyable than it would be almost anywhere else; travelling through this horror labyrinth in a group of around 10 people all shrieking, belly-laughing, and playing around with the villains of this set is the way to get the most out of this event. While the range of tricks and twists they use (and they never use the same trick twice) are universally unsettling, there is something truly Welsh about this particular set that really brings out how fun Halloween is meant to be. X-Scream warn you infinitely about the risks and conditions of the Once Upon a Time extravaganza, and for the most part they are right; if you’re pregnant, have mobility issues, severe asthma, epilepsy etc. this is not the Halloween-fest for you. I would add claustrophobia to that – shrinking mazes and coalmining lifts don’t seem like a good idea for those whose biggest fear is enclosed spaces. There are also considerable warnings about not participating if you don’t possess ‘strong nerves’, and this may be true for some (personal discretion is advised). Yet despite the tension and anticipation generated by wandering through dark woods waiting for something to jump out at you, it is a uniquely empowering experience to allow yourself to be swept along and immersed in this mashup of pop culture. Especially if you’re with a group that makes this experience as funny as it is fearful. So if you’re looking for a way to celebrate an unconventional, energetic, and exhilarating Halloween, you will not regret embarking on this journey with X-Scream and its cast; the jump scares are perfectly balanced with laughter; the tricks pay off to create a real treat.